This level has medium difficulty. 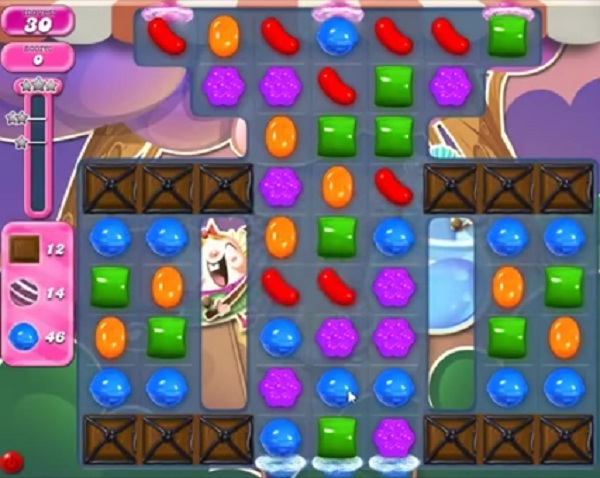 For this level try to play more from bottom part of the board or make striped candy as you get the chance. Combine them with each other to break the blockers or try to make striped candy and combine with color bomb to complete the orders. 1749 completed! 1st board! Collect blue, break grills, CB + striped. 1749 completed on sixth attempt. Got it first try starting with a blue helmet; & CB, stripped wrapped combo boosters. Twenty moves left. Keep resetting until I got a CB stripped combo. The rest was easy.